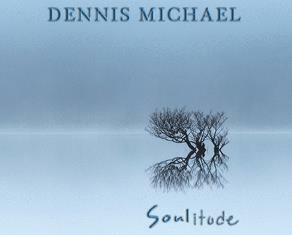 Houston Music Reviews :Dennis Michael "Soulitude"
Youre (sic.) prior painful choices got you leaning to one side”. Overall the musicianship is solid and the production is top notch. The vocals work well on the other songs, even though I feel some of that twang comes in to play in a few places that seems to be an acquired taste for me. “Pleasure That You Sell” has saxophone work by David Caceres that really stands out. The bass performed by Yusef Elkourchi also caught my attention. Michael plays some very solid guitar and his lead sit in well with the arrangement. It is a very pleasant and well performed album, and if you can skip “Choices” it is well worth checking out.